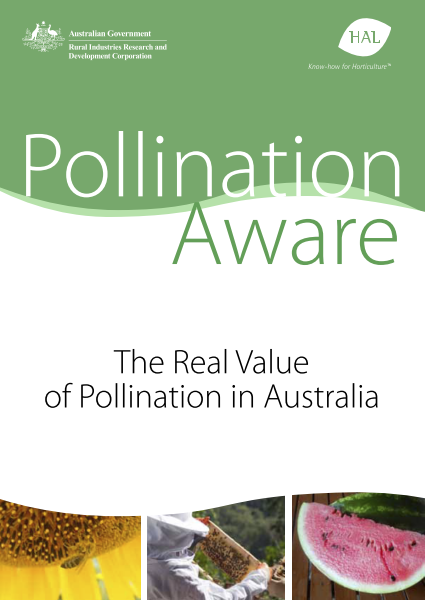 This report consolidates the available information on pollination in Australia at a number of different levels: commodity/industry; regional/state; and national. The report, including 35 case studies describing individual crops and commodities, provides a base for more detailed decision making on the management of pollination across a broad range of commodities. This project is part of the Pollination Program – a jointly funded partnership with the Rural Industries Research and Development Corporation (RIRDC), Horticulture Australia Limited (HAL) and the Australian Government Department of Agriculture, Fisheries and Forestry. The Pollination Program is managed by RIRDC and aims to secure the pollination of Australia’s horticultural and agricultural crops into the future on a sustainable and profitable basis. Research and development in this program is conducted to raise awareness that will help protect pollination in Australia. The 35 case studies mentioned in this report are also on the RIRDC website.